We’ve all been there, don’t worry. You’re in the middle of enjoying a great time in VR on the Daydream View and you start to physically feel the heat from your Google Pixel phone radiate from its tight fitting heat chamber strapped to your head. The phone has switched off to prevent any long lasting damage to your phone. No one wants this to happen, so here are a few tips and tricks to dealing and solving your daydream overheating issues. With claims of increasing your game-play time from roughly twenty minutes to over one hour, it’s the ghetto heat sink method. Cut out a large strip of standard sized aluminum foil (About 30cm). Fold this approximately 3 times until it is the height of your Pixel phone. Sandwich this strip between your Pixel phone and the Daydream View. 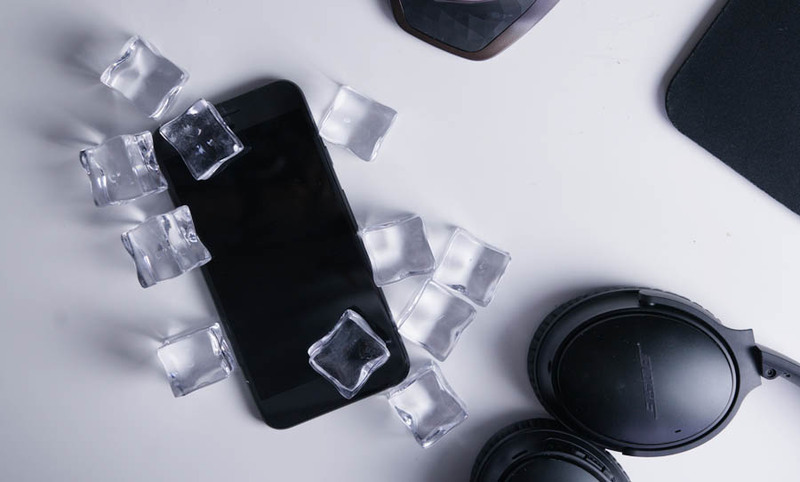 This works by allowing the heat to dissipate the heat away from the phone by increasing the surface area around the phone. It may not look the best but it will certainly increase the time you can spend with it. If you want a few more style points, you could always buy a premade heat sink online. This method might require a bit more investment, but at least it will provide you with more playing time without the stylish imperfections. By using a cooling gel pack, you can see similar results from the “Ghetto heat sink” method. Purchase and freeze a cooling gel pack. Place the cooling pack between the phone and the Daydream View. Some users have claimed that they did not have to freeze the cooling gel packs as room temperature was enough to cool it down. Have you switched to only essential functions? With most experiences and games available for the Daydream View, you will not necessarily have to be online, nor will you need to use your cellular network or GPS. If you don’t need to be online, we suggest activating airplane mode as it will improve the performance and decrease the heat issues. This should also decrease power consumption and provide a small boost to device performance. You can always turn wifi back on if you need to be connected to the internet. This may sound fairly obvious to you, but have you tried pointing a decent fan in the vicinity of your use in VR? This will create more airflow in the direction of the headset and hopefully help to dissipate the heat faster. This could also help to create a more comfortable experience whilst in VR too. In some cases we understand that this may not be possible as not everyone wants a gale constantly blowing in their face. Ok yes we know. You’ve came here to ultimately find ways to take less breaks whilst using VR, but let’s face it, 20 minutes inside VR can feel like an hour so perhaps it’s a good thing that you take frequent breaks. What are your most effective methods to cool down your phone whilst using the Daydream View? Have you tried using any of these methods? Let us know how has that worked out for you.